Welcome to Dunrovin Motel, one of Taupo's original motels. 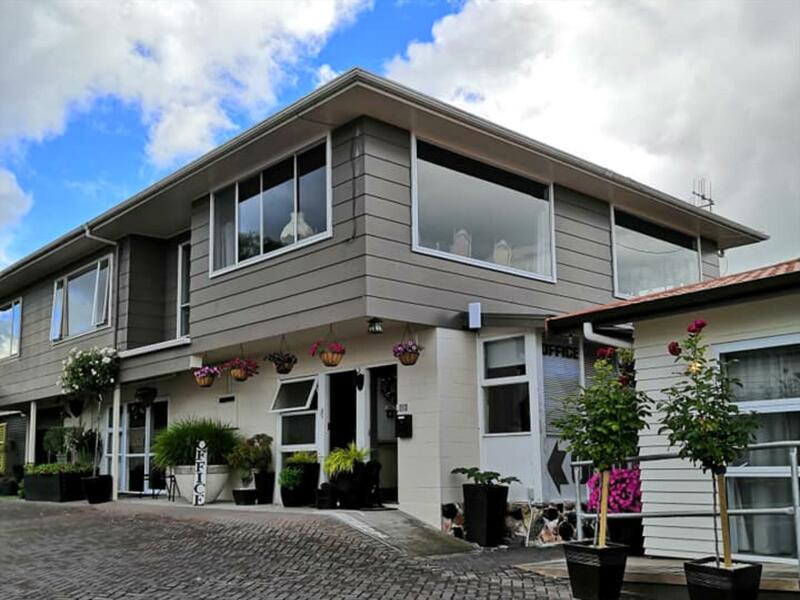 Dunrovin offers clean, comfortable, and economical accommodation for the discerning traveller, families and groups of friends.We are 700m from the town centre and 500m from Lake Taupo. All rooms are self-contained and feature LCD smart televisions, tea/coffee facilities and kitchenettes (some with full cooking facilities). Free Wi-Fi is also available for all guests. We have ample off-road parking and most units have a peaceful garden setting. Taupo has numerous activities to please all types of visitors, from a serene cruise on the lake to high-speed jetboats on the rapids of the Waikato River. Numerous mountain bike tracks have been created in recent years through previously inaccessible areas; these offer spectacular views and are available for walkers to use. Skydiving or bungy jumping is available for thrill-seekers. For those seeking a more relaxed pace, trout fishing is available through the district, on the lake and the inflowing rivers.